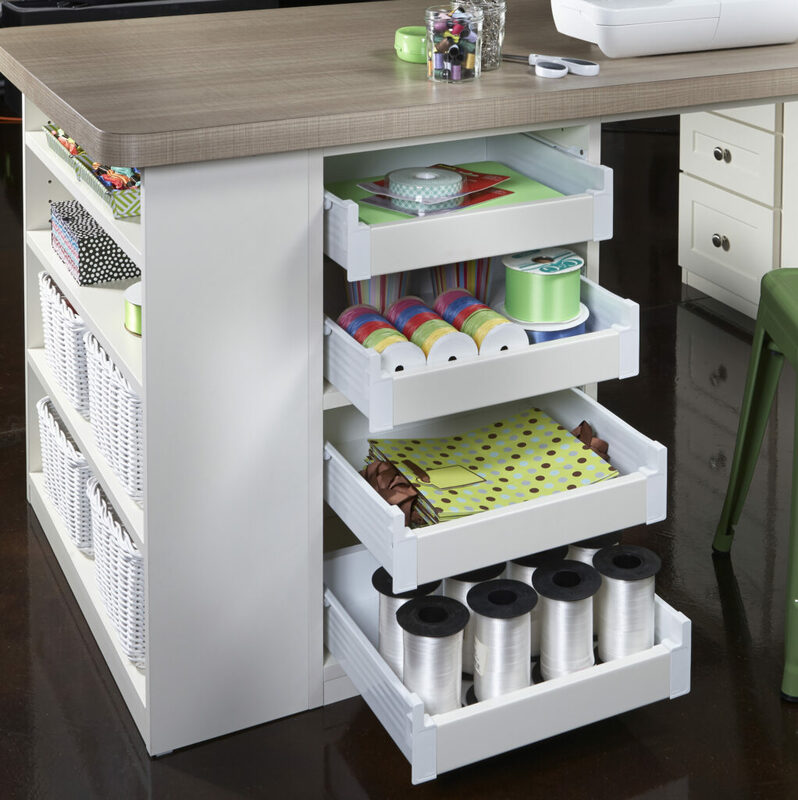 Get Organized! 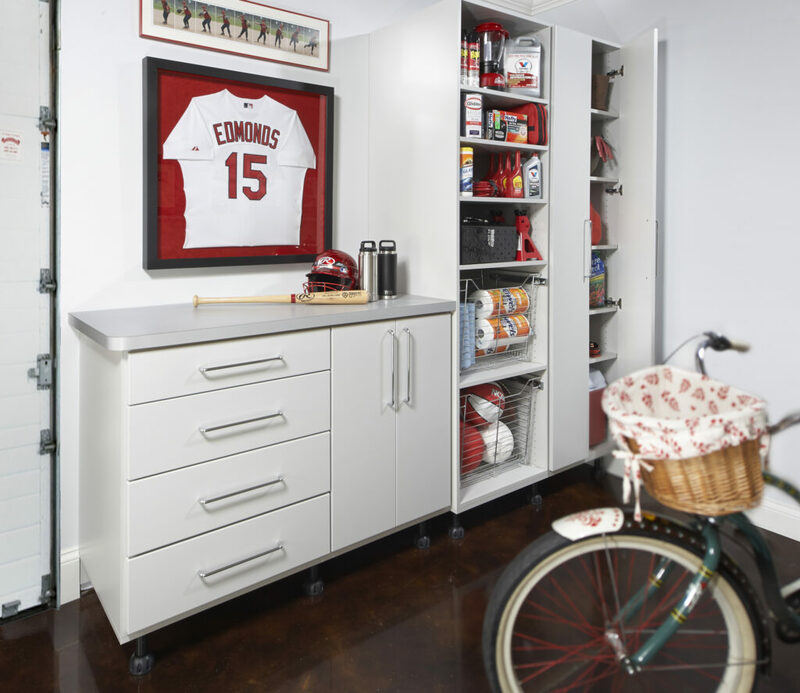 | St. Louis Craft Rooms | Garages | Saint Louis Closet Co.
A Space to Get Your Hands Dirty! Crafting is the NEW black!! 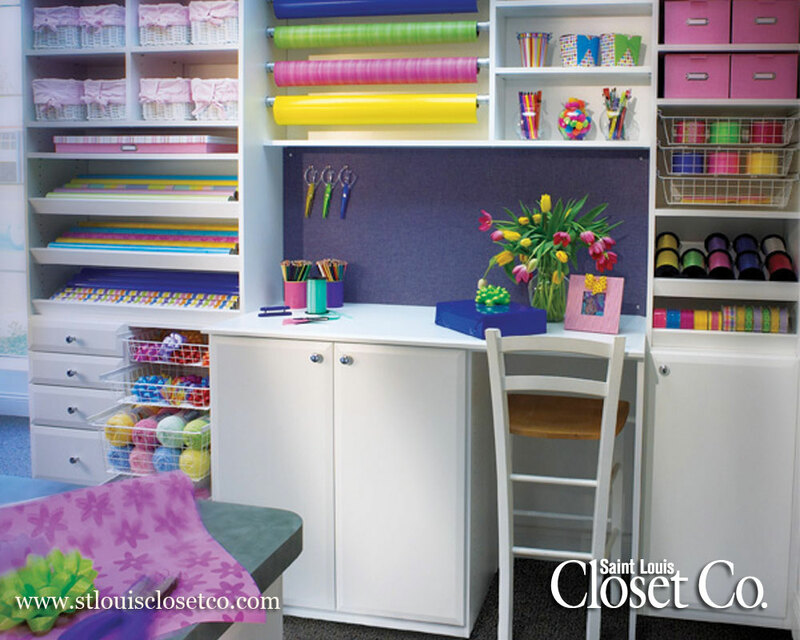 From the avid scrap-booker to all those with messy school projects, having an organized Saint Louis Closet Co. craft center or art room is what it’s all about! 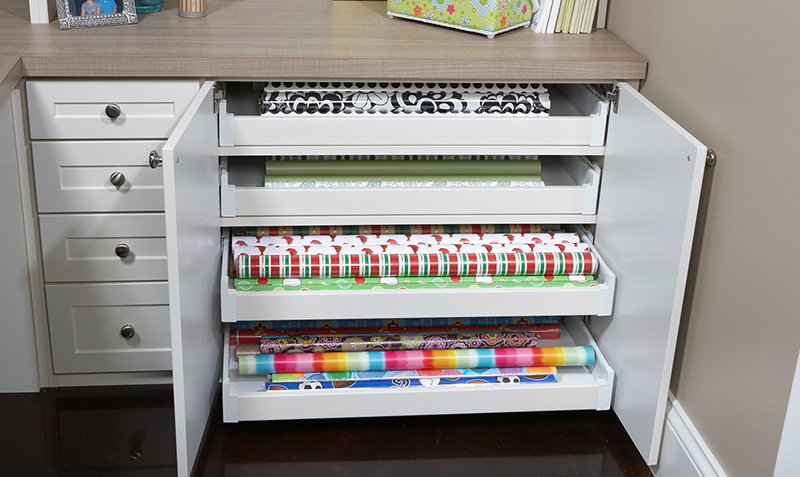 A crafting area from Saint Louis Closet Co. can double as a wrapping paper center during the holidays too! 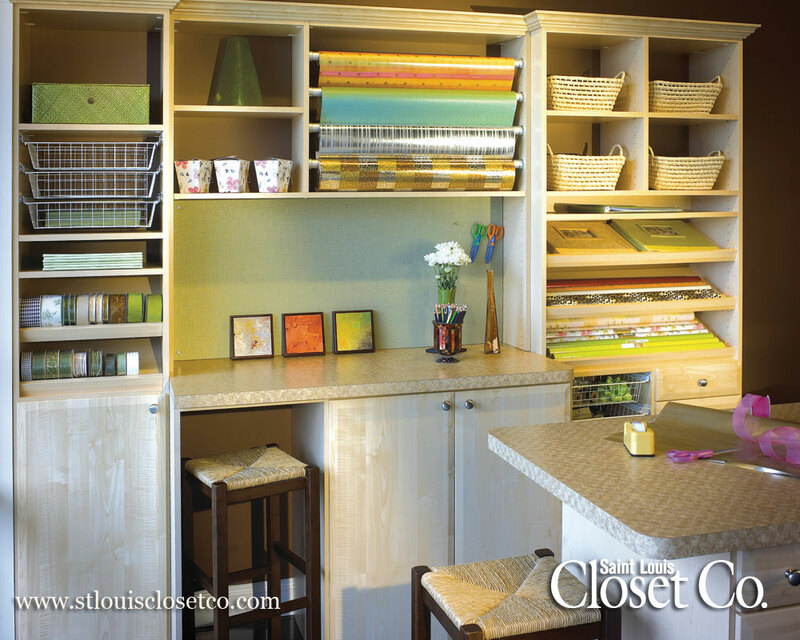 Baskets and tray shelves for ribbons, bows, and raffia will make even Santa happy. Anyone with a green thumb will tell you that it can be difficult to keep all of their gardening needs organized. Things usually just end up thrown into a corner of the garage. 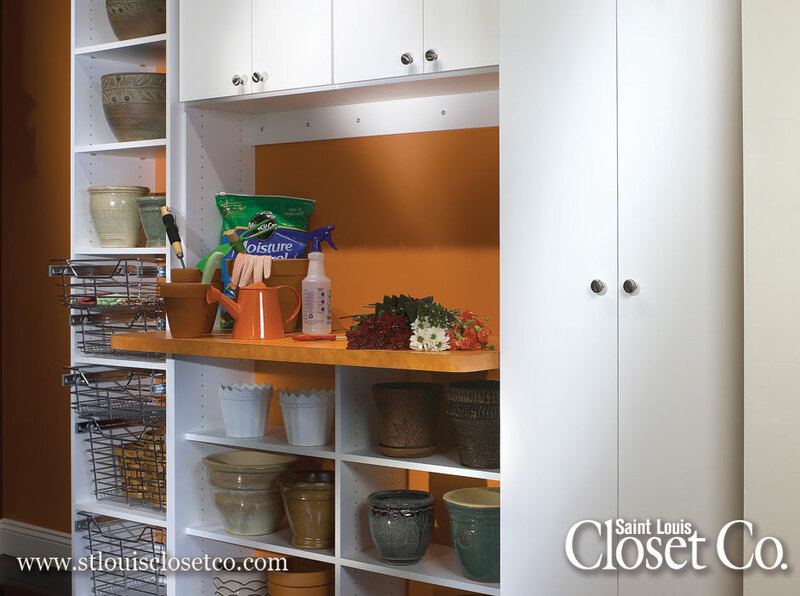 With a Garage Unit or Potting Station from Saint Louis Closet Co., you will be able to keep your gardening materials close at hand and organized. 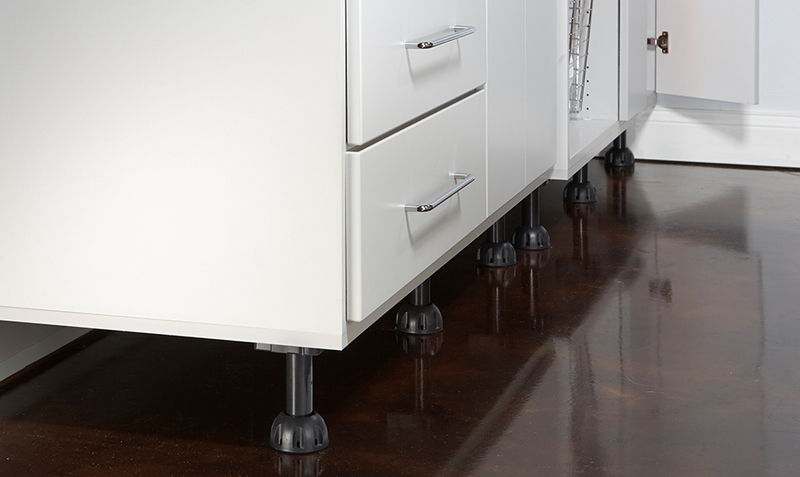 Elevated feet for your Garage and Basement Units can keep the units off the floor in case of moisture or to keep debris out from underneath units.